The Beyerdynaomic Custom One Pro cans are big and sturdy but how do they sound? The Beyerdynamic Custom One Pro headphones are among the chunkiest cans we've ever seen, but enough on how they look, how do they sound? The first thing we noticed when unboxing these 'phones were that the cups are extremely large, even for a pair of over-ears. Though the Custom One's aren't overly heavy, they are big and bulky. It's clear that sturdiness and audio quality have been prioritised over portability here. One thing that does help a little is that all the cables are detachable, so there's no need for cable-wrapping - you can store everything separately. For those of you who decide this isn't an issue, there will soon be multiple customisable accessories, such as plates for the outside of the cups and headbands, which can be swapped in and out depending on your style. There's plenty of cushioning on the underside of the headband, and the cups - for all their bulk - are well padded and very comfortable, if a little vice-like at first. The earcups sit around the ear, rather than on it, which makes them naturally insulating (useful if you're wearing them out in the cold) as well as comfy. In addition, this means they're passively noise-cancelling, and while the cancellation isn't as powerful as the Beats by Dre collection, you don't need any batteries, which is a bonus on many levels. We did notice that although some of us had no issues with the fit, T3's reviews overlord Libby Plummer found that even on their shortest setting, the headphones were still too big to fit properly. So, if your bonce is on the smaller side, maybe try a pair before you buy. Beyerdynamic is a German company - relatively new to the UK - but with a long history in high-performance professional audio equipment. Now it's bringing this professional quality sound to consumers, something that - by the looks of it - we should be very excited about. The membranes used in the Custom One's 16Ohm neodymium drivers are some of the lightest in the world according to Beyerdynamic, which should result in incredibly accurate sound playback. From our testing, the result is absolutely incredible. These headphones sound as good as any we've tested, certainly they are on a par with the Fidelio L1s and Pro Beats, if not surpassing them. The sound has incredible clarity and precision - and you can make out each individual component of the music, rather than a mesh of sound. The star of the show here is the Custom sound slider - a slider on each earcup that lets you switch between four bass modes, depending on what you're listening to. What's impressive here is not only how quickly the mode kicks in when it's selected, but also the power and definition of the bass itself, even on the higher settings. It doesn't overpower any of the mid-range or treble sounds, but it does exactly what you want it to, it adds bass tone, and thumpingly so if that's what you like. Just as everyone has different preferences for music, everyone likes to hear their music a different way. The beauty of the Custom One Pro's is that you can have the best of all worlds. Even if you're an audiophile, a combination of the Custom sound slider and your own equaliser will get your audio fine-tuned just the way you like it. Sure, they're not the prettiest headphones we've seen this year, and they probably are the chunkiest. 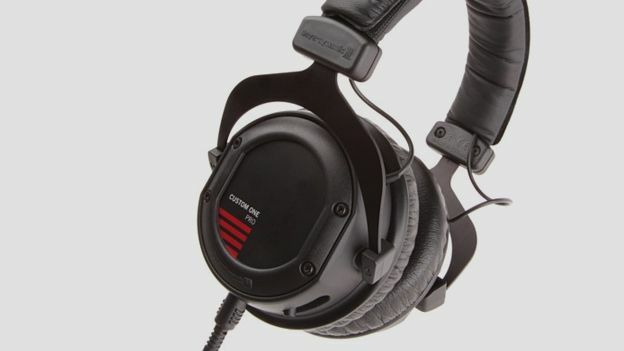 But if you can get over the bulkiness of the cups, and you can get them to fit your head, these are as good a sounding pair of headphones as you'll get for under £200.